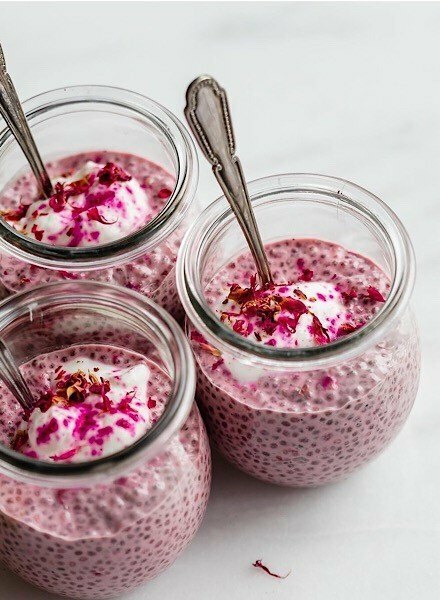 Totally insta-worthy, this Strawberry Chia Pudding is perfect for breakfast or as a healthy snack – and is super easy to prepare (bonus!). Needing just half a cup of strawberries or any yummy fruit, half a cup of milk, 1 tablespoon of Chia Seeds and 1 tablespoon of agave syrup per portion, this low fat brekkie is filling and healthy. Start by blending the fruit, milk and syrup until completely smooth. Pour into your portion sized jar and slowly stir in your chia seeds. (Please note: This dish is best prepared the night before as chia need at least 1 hour to absorb). Before serving, try adding a dollop of fat-free yoghurt, granola and chopped fruit. Whether you’re after a light lunch or feelin’ a bit boujee, these Mushroom Satay Sticks hit the spot. Grab a handful of oyster style mushrooms (we recommend 2 per stick) and chop them into medium sized chunks. Slide them onto wooden skewers and lightly fry in a small amount of coconut oil until nicely brown. Fancy mixing it up? Switch in some courgette and halloumi chunks. 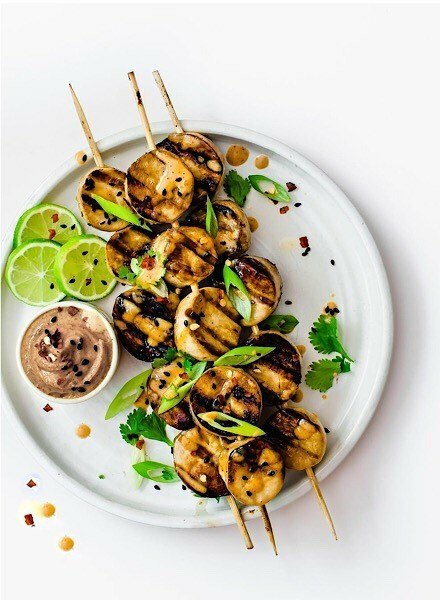 Prep a peanut satay sauce by blending 1/2 tbs peanut oil, 1 garlic clove, 1 small chilli, 1 tbs brown sugar, 1 tsp soy sauce, 1 tbs water and 2 tbs peanut butter. Dip each skewer in sauce and continue to fry each side until lightly crispy. To finish, garnish each with freshly chopped coriander and crushed peanuts. First, start by boiling the chickpeas for 5 minutes to soften then cool for 15 minutes. In a food processor, blend all ingredients to form a thick paste, (or mash in a bowl if you prefer it chunky). Roll the mixture into ping pong sized balls and lightly fry in an inch of oil until crispy and light brown on the outside then roll on a paper towel to remove excess oil. Serve them in pitta with salad, mint dressing and red cabbage for a filling, healthy meal full of flavour! Will you be switching out some meals for healthier choices in 2019?